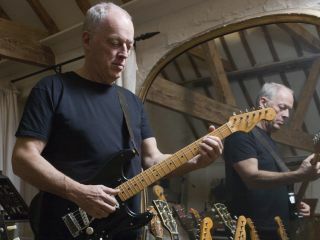 David Gilmour says that he's not interested in another Pink Floyd reunion. Speaking to the Associated Press, the guitarist said that the band's last reunion for the Live 8 show was "excellent, really enjoyable." But he added; "The rehearsals were less enjoyable. The rehearsals convinced me it wasn't something I wanted to be doing a lot of. "There have been all sorts of farewell moments in people's lives and careers which they have then rescinded, but I think I can fairly categorically say that there won't be a tour or an album again that I take part in. "It isn't to do with animosity or anything like that. It's just that I've done that. I've been there, I've done it". Gilmour releases a new live album and DVD, David Gilmour Live in Gdansk, on 23 September. His signature Fender Stratocaster model is also out this month.